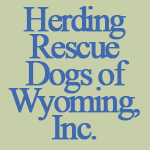 Herding Rescue Dogs of Wyoming, Inc. is a non-profit organization that seeks to help unwanted herding breed dogs and mixes find appropriate and loving homes throughout the mountain west region. The organization was founded in 2008 and has been helping herding dogs find loving homes. P.E.O started in 1869 and provides educational opportunities for women. Today, over 90,000 women have benefited from our organization's educational grants, loans, awards and special projects.